Miranda Gore Browne achieved widespread acclaim as a finalist on the first series of BBC2’s The Great British Bake Off. She was highly praised for her home baking, which was described consistently as both delicious and beautiful. Mary Berry remarked that Miranda reminded her of herself when she was younger. Miranda made a great impression with her “signature bake” biscuits in the form of perfectly dainty decorated shoes, pretty dresses and stylish handbags; and she also featured in BBC2’s The Great British Wedding Cake. Miranda spent a successful career immersed in Foods at Marks & Spencer, where she gained a wide base of knowledge and expertise in the food industry – from working as a pudding buyer, setting up and running the in-store coffee business, Cafe Revive and trialling takeaway food in travel locations the success of which led to the roll out of Simply Foods. This experience has led her to be in demand as a food specialist. She also combines her love of food with her management and leadership skills to create and run bespoke corporate team days. Miranda has established a reputation for wonderful home baking. 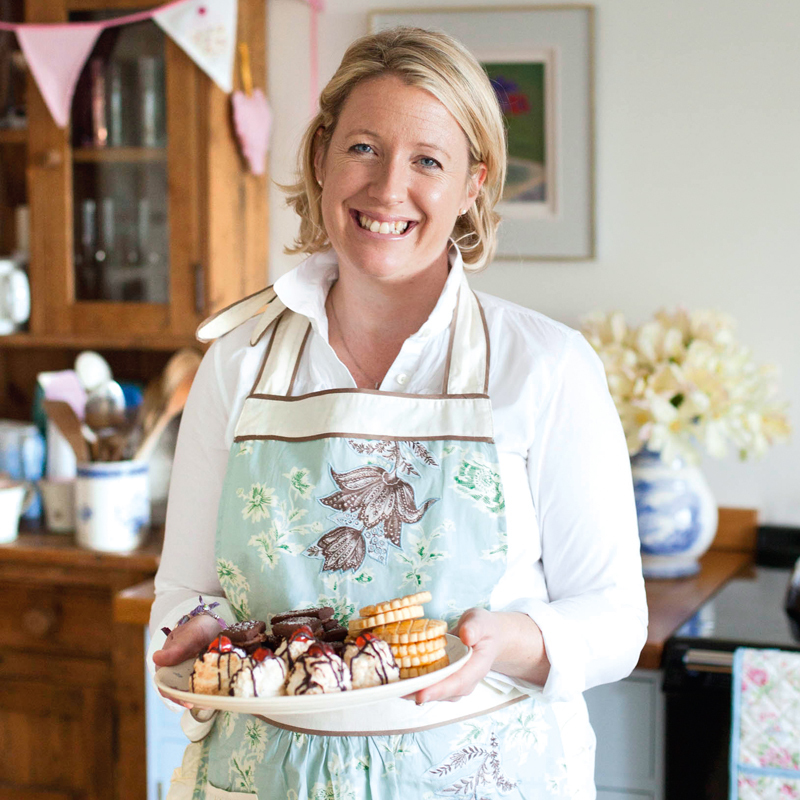 Her blog of recipes and baking ideas has attracted a keen following, and Miranda has received wide recognition through work with The National Trust, Squires Kitchen, Hobbycraft, Kenwood, The Cake and Bake Show and West Dean College – teaching, guest speaking and demonstrating. Miranda has worked alongside Simon Rimmer, Giles Coren and William Sitwell as a member of the panel of Food experts for the Kenwood Foodie Bucket list campaign, is a member of the advisory board for Clarion Communications, and works as an ambassador for Chalon UK and Kenwood. Miranda is an Ambassador for the National Children’s Charity ‘Dreams Come True’ and has led on the ‘Dream Tea’ campaign. She is asked regularly to give masterclasses and baking demonstrations, and has recently started •The Kitchen School• at her home in the heart of the West Sussex countryside. Miranda’s first book, BISCUIT (published by Ebury 2012), features recipes for a tempting variety of biscuits. Her second book ‘Bake me a cake as fast as you can’ was published in August 2014. She is a member of The Guild of Food Writers. Miranda has written baking features for Sainsbury’s Magazine and has featured in ‘The Essential Guide: How to make a perfect afternoon tea’ (DVD) with Sofie Allsopp. She has filmed baking podcasts for Ladybird books, and filmed and narrated children’s stories for Toddler Fun Learning on YouTube as well as filming with Kenwood, Lakeland Dairy, LoveFood.com, The Carers Trust, Fairtrade and for Facebook Live. In 2018, Miranda became the Food Columnist for NFU Countryside Magazine, beating the drum for seasonal and Great British Food, with recipes, tips, foodie inspiration and a peek into her own country life. 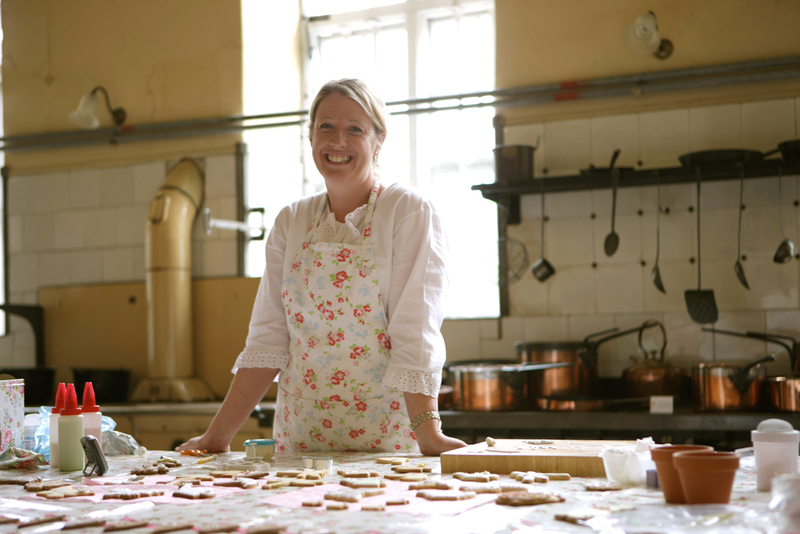 Miranda thrives on sharing her love of baking, and on putting it at the heart of life. She lives with her husband and three small children in the pretty South Downs National Park.